An FM Approved fire pump package ensures that the system’s performance characteristics meet the protection requirements for the property. Tested by an internationally recognized third-party certification organization. Manufacturing locations subjected to regular quality audits. Manufacturers’ websites on online Approval Guide. Maintaining an adequate and reliable water supply is essential for any property protected by automatic sprinklers. Many properties depend on a fire pump to boost system pressures and to maintain the required flow for the duration of a fire event. An FM Approved fire pump system will test the driver, pump and controller as a system to assure the performance characteristics of the system meet the protection requirements for the property. FM Approved fire pump packages are produced using components that have been subjected to rigorous tests to ensure that they will perform when called upon during each certification program. Pump tests map the pump flow versus discharge head characteristics across the entire range of flows; suction lift tests evaluate the pump’s ability to perform in less than perfect water supply conditions; and hydrostatic pressure testing performed to assure the pump casings can withstand fire sprinkler system pressures. Diesel engine/electric motor driver tests evaluate the performance of the engine/motor under extremely harsh test conditions, and also the engine/motor ability to communicate with the fire pump controller. This approach allows for reliable service from this highly important piece of machinery. The third main component of the fire pump package is the fire pump controller. FM Approvals’ requirements for these products have been developed to evaluate these complex devices under severe conditions in order to provide the fire pump package with a reliable device standing ready to act if the need arises. FM Approvals’ requirements have also addressed the mix-and-match capability between diesel engines and controllers of years ago with a standardized terminal strip so that communication across devices is much easier to establish and maintain. FM Approvals will audit the facilities of each manufacturer of the entire fire pump system, ensuring adherence to our stringent standards and production to the highest level of quality and reliability on an ongoing basis. FM Approvals also monitors any performance issues reported from the field and assists the user in obtaining prompt, corrective actions. It is important to understand the product manufacturers’ pricing structure. It may appear that the cost of a tested and certified FM Approved fire pump package is more than that of a comparable, non-certified product. Reputable testing and certification organizations such as FM Approvals will run tests and perform facility audits which may in fact, increase the cost of the product compared to similar, non-certified products. The best place to start any pricing comparison is with the manufacturer. The source for their product pricing is often found on their Web site.  Additionally, FM Approvals provides links to most of its manufacturers’ Web sites along with the product listing on the Approval Guide (www.approvalguide.com) That link will often get you to a pricing sheet, or at least to a representative who can explain the actual cost that a manufacturer uses as their base. Start there, and then understand that there may be supply chain costs which add value to the product and, likewise, any increase in price. Since the testing and certification costs for FM Approvals or any other reputable testing and certification organization are already built into the manufacturer’s cost, there should be no added cost for the tested and certified product along the supply chain. FM Approved fire pump sets are further complemented with the FM Global Loss Prevention Data Sheet 3-7 that discusses the major considerations with installation, and routine maintenance testing. All FM Approved pump sets require commissioning tests in order to make sure that at the installed unit delivers the required head and flow, and that the installation meets with our requirements, and those of the Authorities Having Jurisdiction (AHJ) or other regulatory authority. FM Approvals teams are working to make sure that these products are available for purchase and service locally wherever they are needed. Our contacts with FM Approved manufacturers have demonstrated responsiveness to user needs anywhere these products are needed. For more information on how to obtain FM Approved products, contact the FM Approval Fire Prevention Products Group Manager indicated below. ...Local codes and jurisdictional requirements? Jurisdictional authorities and local regulators reserve the right to challenge products for use within their jurisdiction. FM Approvals incorporates jurisdictional and code requirements into their testing Standards as well as providing rigorous loss prevention criteria. All users of FM Approved products can rely on these products to be acceptable by local jurisdictions, as well as provide the loss prevention solutions prescribed by FM Global. initiate contacts among OEM, user, repair firm and regulatory authority. Routine performance testing will monitor trends that may lead to repair or replacement of components. FM Approvals support teams are available to compare performance characteristics to initial Approval conditions. FM Approvals has systems in place to report performance issues as well as questions on product or certification integrity. Timely posting of product alerts submitted by the OEM.